Skating outdoors, the way nature intended, requires all of us to take care of the environment we play in. While the lake is frozen, it will eventually thaw, and make way to a beautiful lake enjoyed by so many in the summer months. We strive to not leave a single piece of trash or equipment to be good stewards of the space we get to call home for a weekend in January. The open space across from Lake Nokomis is a full complex of softball fields in the summer. There’s no way we can be both good stewards of the athletic fields and use them as our parking space. We will be changing Lake Nokomis Parkway to a one way starting at 4pm on Thursday through 6pm on Sunday, and having everyone park on one side (left side) of the road. Obviously, this will cause a bit of a walk for some. Plan to get to Nokomis at least 1 hour before your scheduled game time. If you are staying at one of our host hotels, take the shuttles. They will drop you off and pick you up right in front of the tent. Shuttle schedules are available in the mobile app. Carpool as much as possible. We’ll have a player loading/unloading zone where you can drop off your gear to pick up after you park. 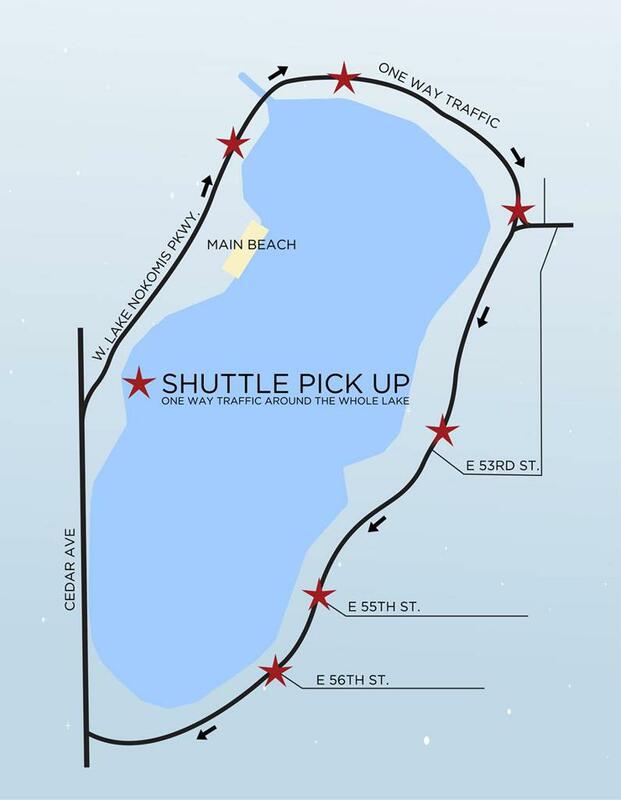 We’ll be having a USPHC shuttle circling Nokomis Parkway and picking people up at USPHC Pick Up spots. VIP Parking spots, included 1 per team with VIP Locker room purchase, will be in the parking bays on the street, Left side of W. Lake Nokomis Pkwy, nearest the Warming House Tent. VIP parking pass must be placed on dashboard in clear view. There are NOT any VIP Parking Passes for sale. Permit parking for Medical Staff, Media and Sponsors will be in available spaces in the main Nokomis parking lot. 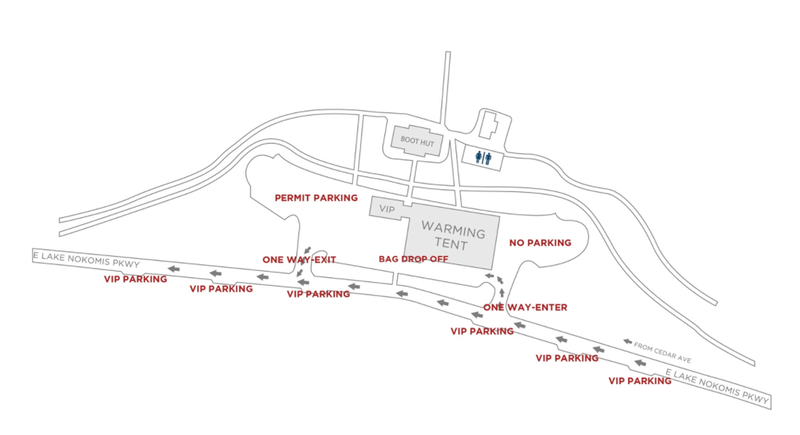 A permit parking pass is required and will be distributed accordingly by Event Management team and Parking Staff. This worked out just fine last year. In fact, several people told us that they chose to walk across the lake and it was an incredibly refreshing walk. Thanks for your understanding and support for doing the right thing.